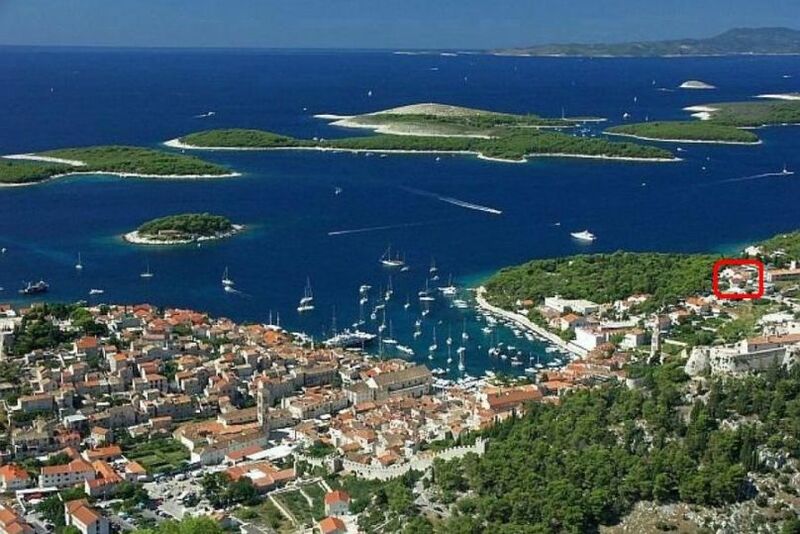 Hvar has an outstanding monumental heritage - the cathedral, the Franciscan monastery, the Hvar Theater, the Fortress with a beautiful view of Hell and the islands of Vis, quality and variety of accommodation - hotels, apartments, guesthouses, camping, and many opportunities for sport and recreation - tennis, table tennis, basketball, bocce, bowling and rental equipment for water sports. 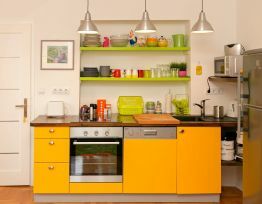 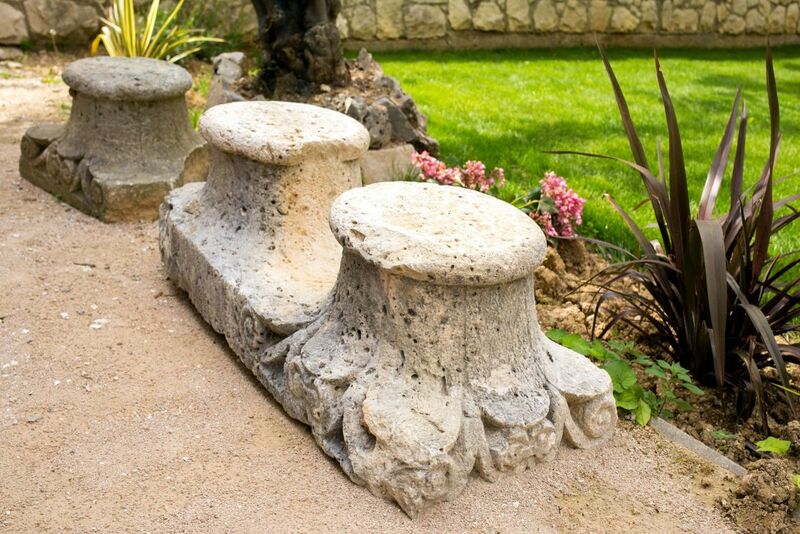 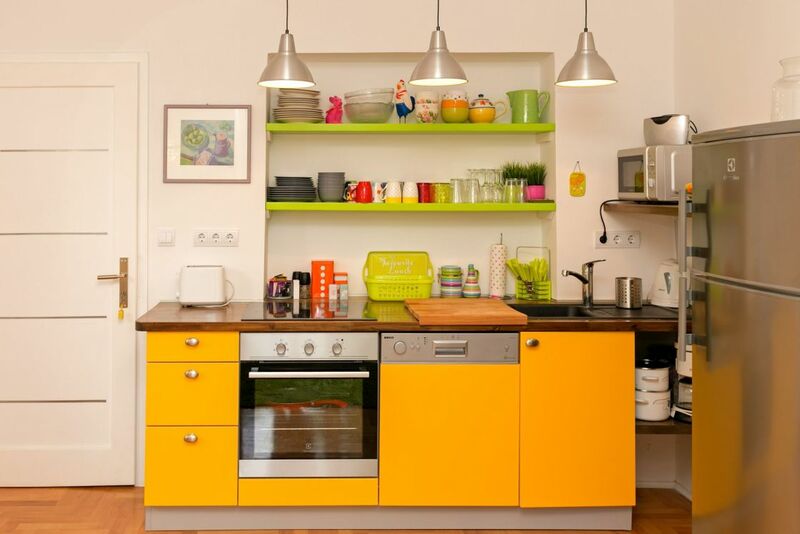 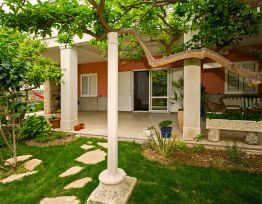 The Apartments Mila i Cvite are situated in the most beautiful part of the city of Hvar, only five minutes easy walking from down town and the same distance to the first beach, near hotel Amfora. 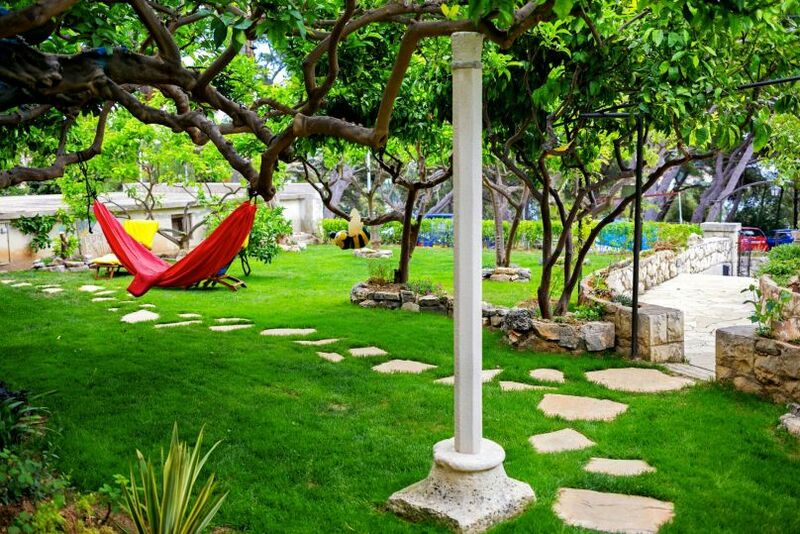 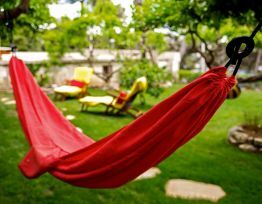 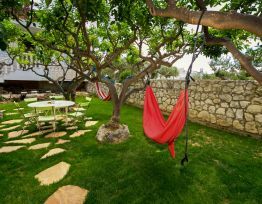 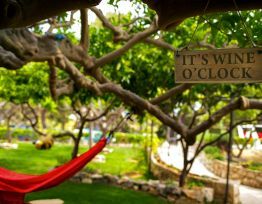 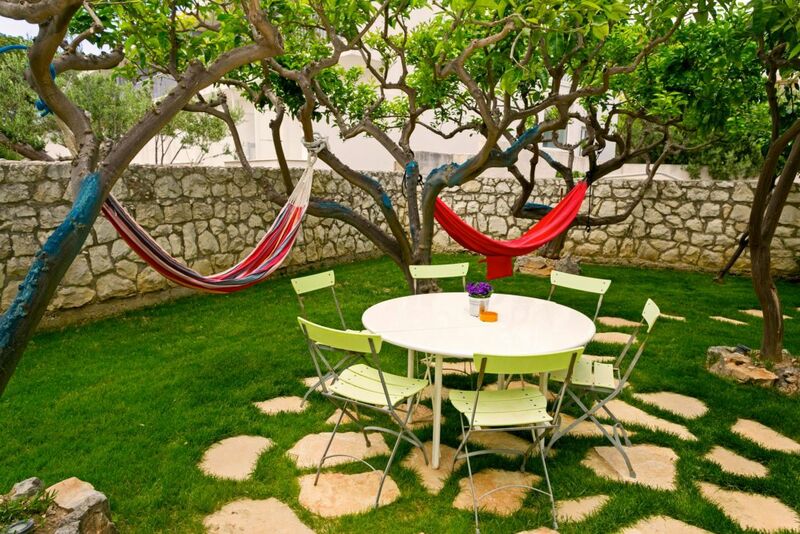 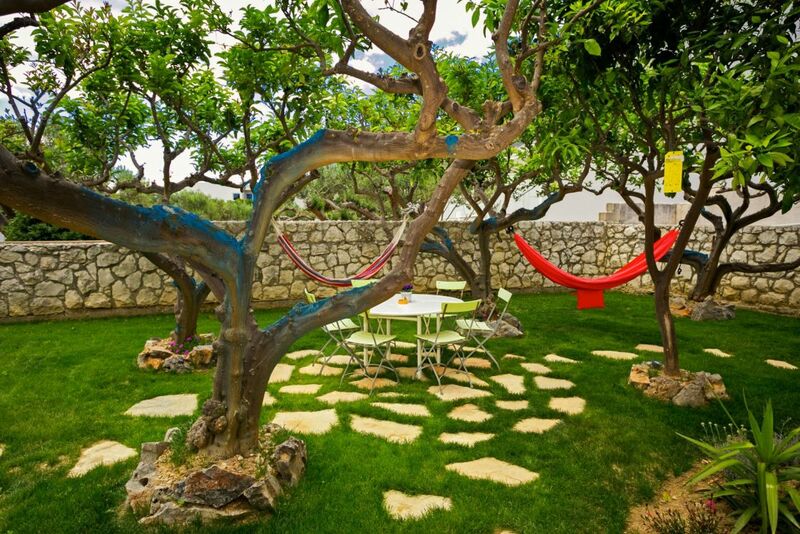 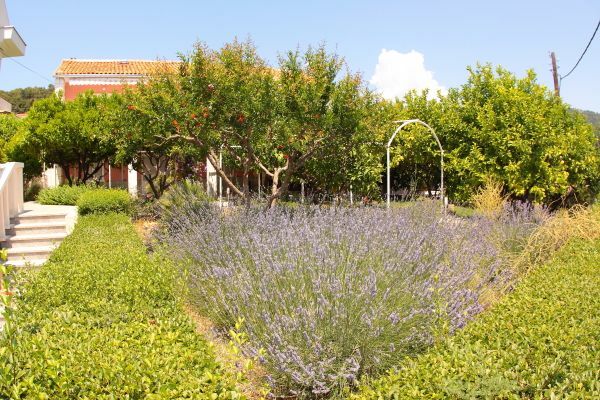 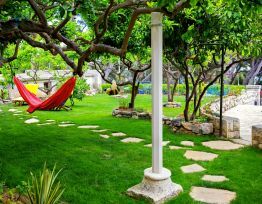 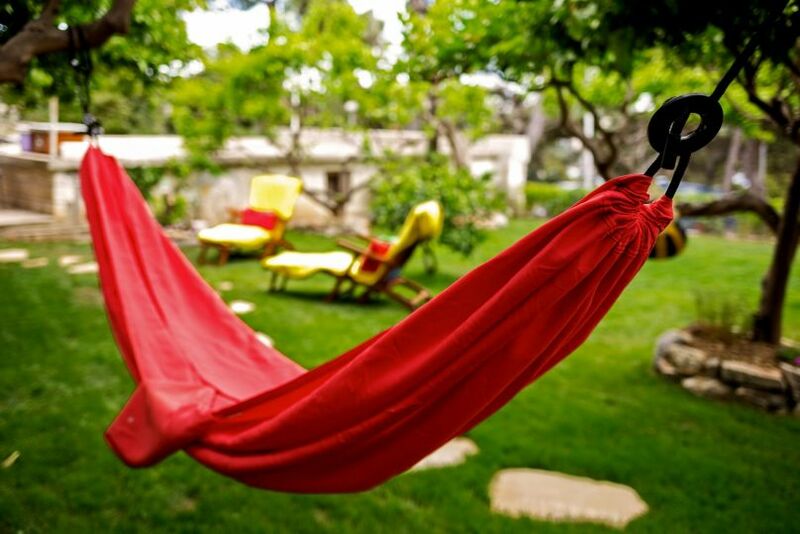 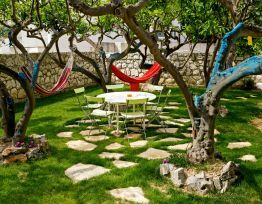 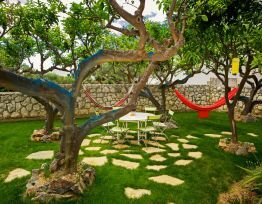 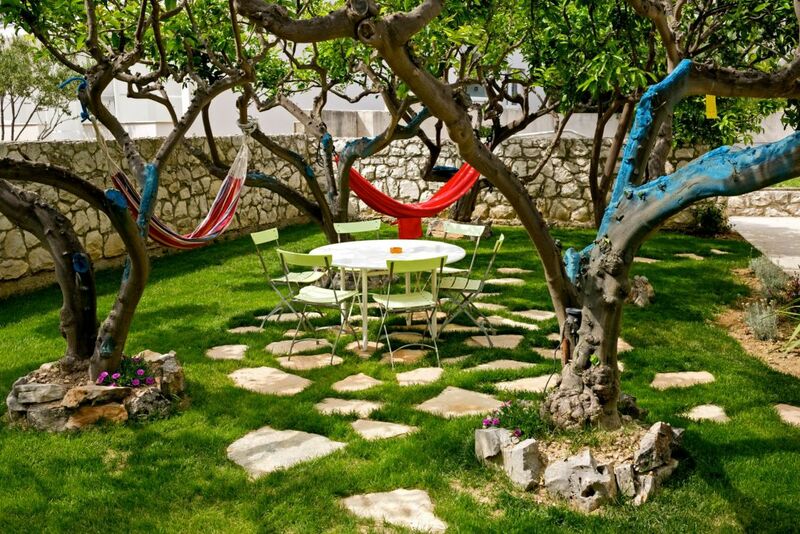 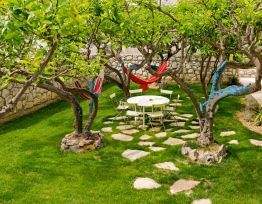 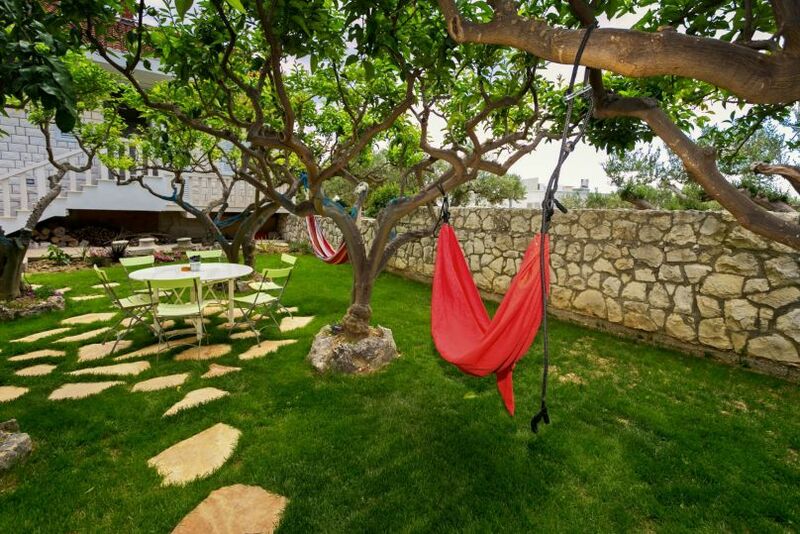 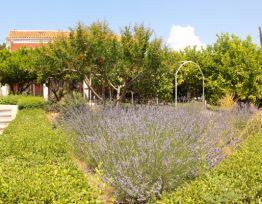 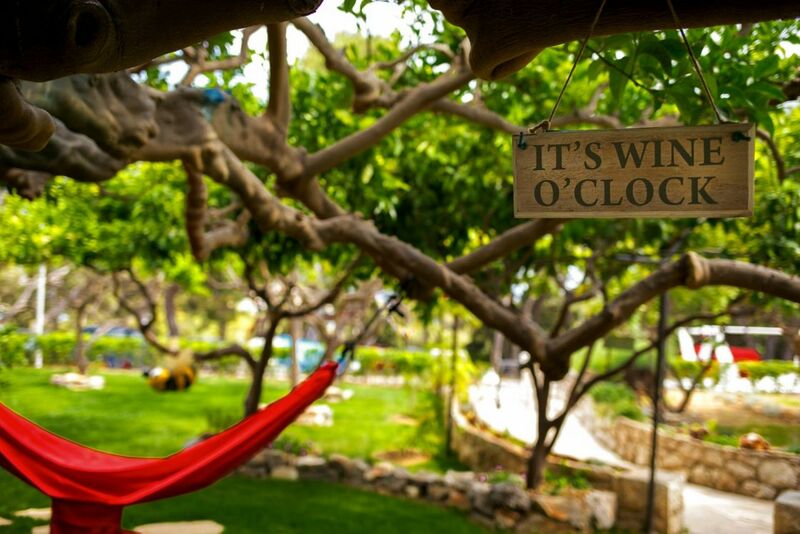 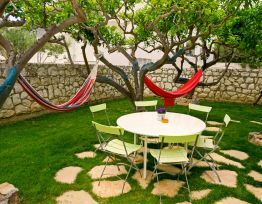 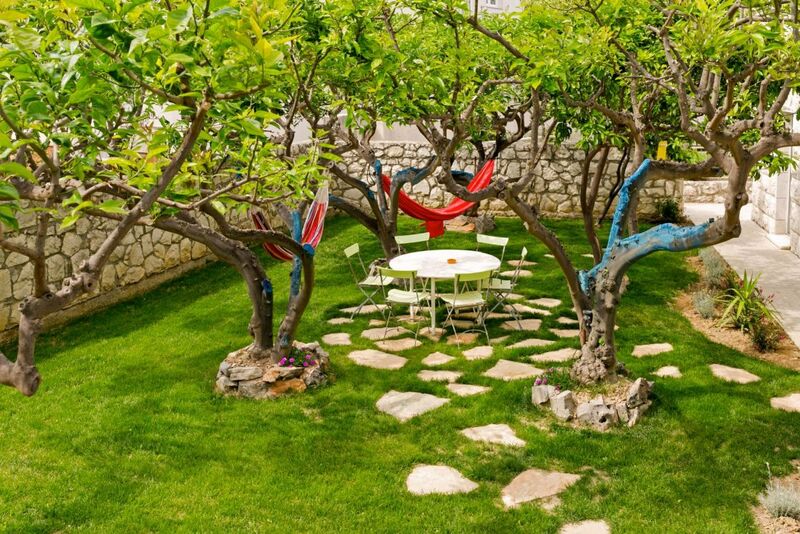 We have big garden with lemon and orange trees as well as with lavender bushes and other typical dalmatians herbs, all surrounded with where you can spend your < siesta time> in hammocks. 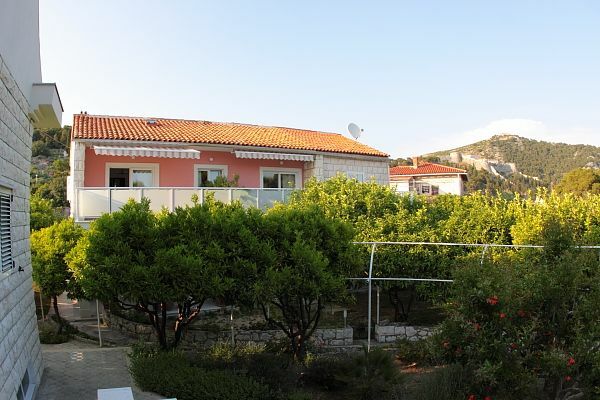 You can reach the house by car and park just in front of it under the shadow of pine trees. 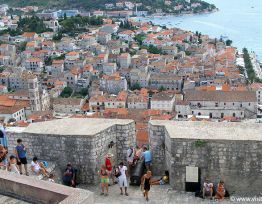 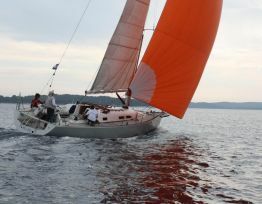 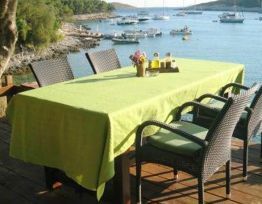 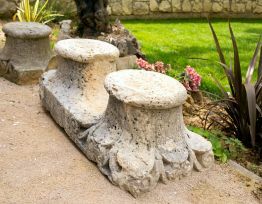 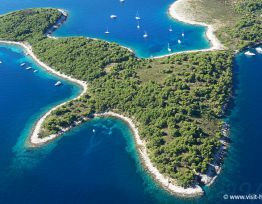 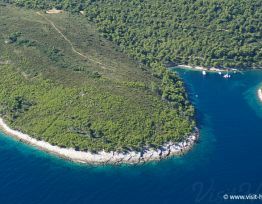 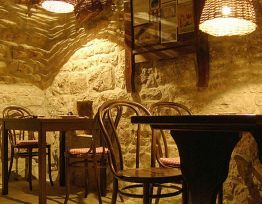 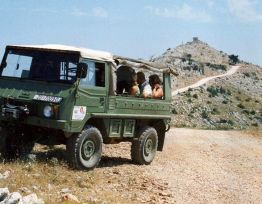 The city of Hvar is situated on the west coast of the homonymous island, in a picturesque bay. 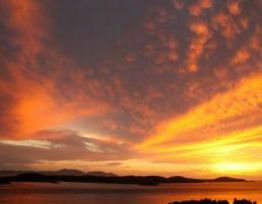 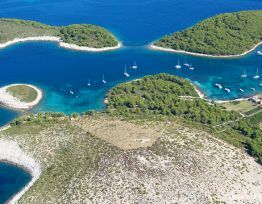 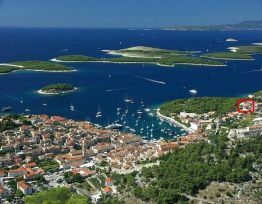 The position on the south, isolated part of the world, with more than 2700 sunny hours a year, procured it the title of the sunniest town in Croatia. 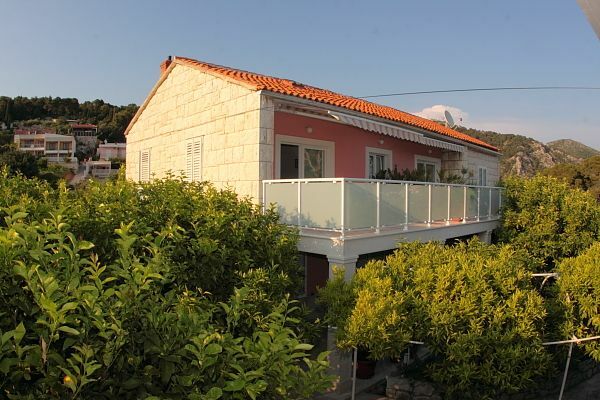 APARTMENTS: Avaliable are four apartments, each for two persons( possibility for the third bed) with separate entrance, terrace ( balcony) kitchen with living room, bathroom, sleeping room, SAT/TV, AIR CONDITIONED. 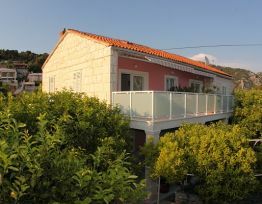 There are also two double bedrooms, each with balcony and bathroom,SAT/TV, AIR CONDITIONED. 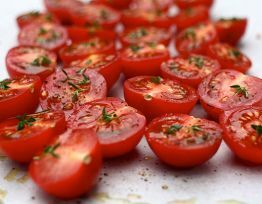 We speak English, German and Italian. 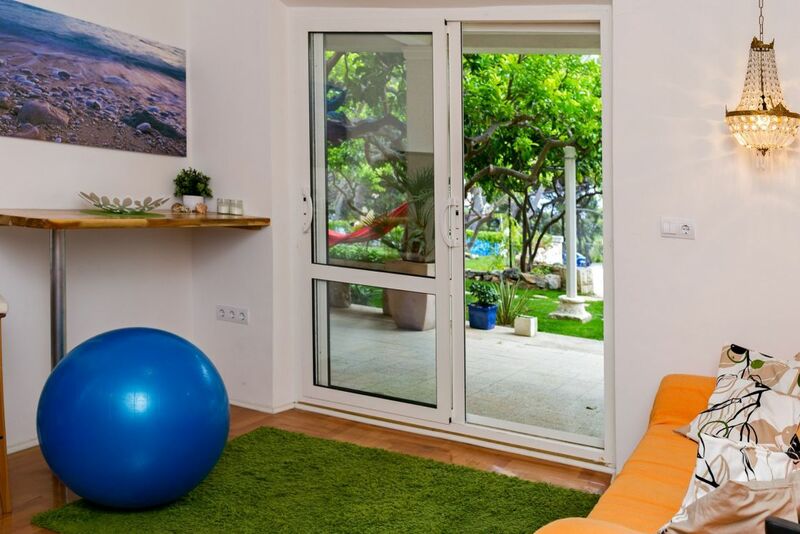 Your pets are welcomed, too. 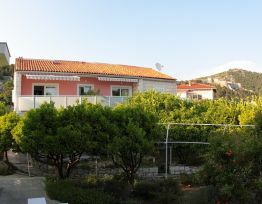 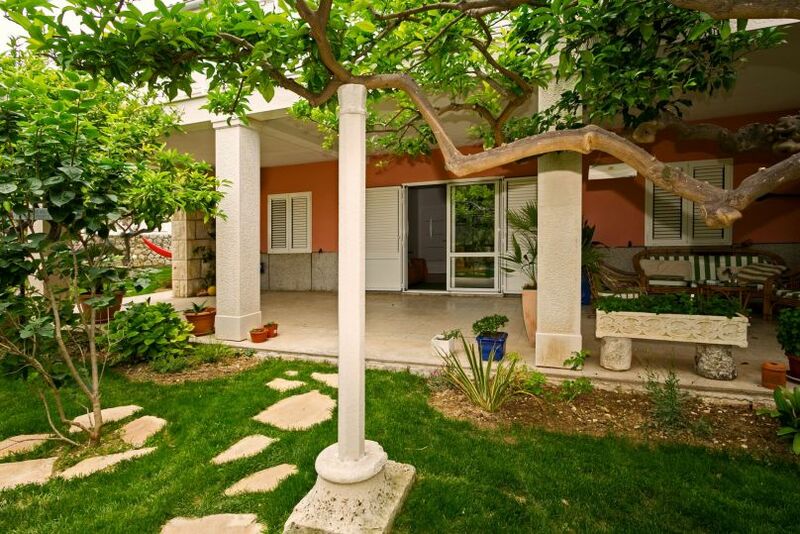 Double bedroom with its own bathroom, exit to huge garden with lemon and orange trees. 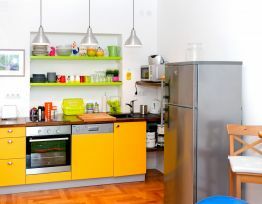 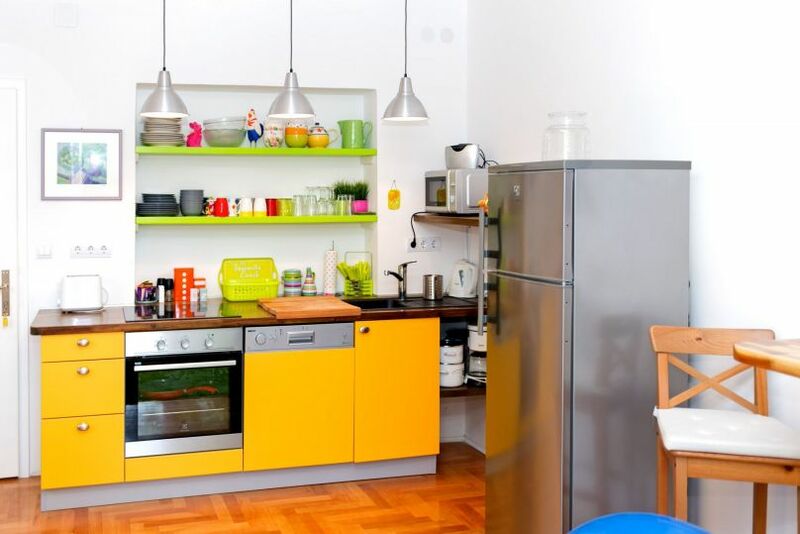 separate entrance, tv, wi fi, parking place, library, air cond., shared kitchen all equipped.